Magnr is one of the best-known Bitcoin trading platforms in the world, and the team recently posted an update regarding their plans for the remainder of 2016. Additionally, there are some changes to their rates and fee schedules, which traders will appreciate. Plus, Magnr CEO Colin Kwan has been appointed as Director of the UK Digital Currency Association. 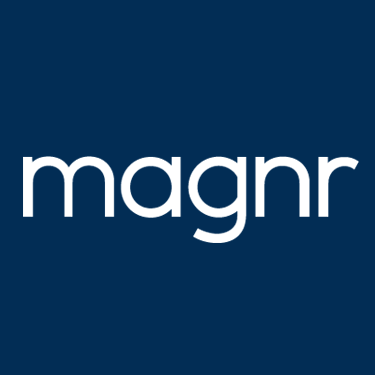 First and foremost, the first quarter of 2016 has been quite revealing for Magnr, as the developers have been able to work on expanding the back-office infrastructure. Providing a frictionless experience for platform users is of the utmost importance, yet losing track of the security is not an option. New innovative products and services are planned for the remainder of this year, although no specific details were revealed to us at the time of publication. Other changes have been implemented on the Magnr platform already, such as a lower Daily Funding Fee on Magnr Trading. Additionally, the team has also lowered the volatility multiplier, which now sits at 15%. No changes were made to the open and close fee of trades, as they both remain at 0.45% of position size for the time being. But perhaps the biggest change comes in the form of how the Magnr team is strengthening ties with the Fintech scene in London. Not only is this the financial capital of the world, but London is also home to a lot of FinTech startups and companies. Most of these business have an interest in blockchain technology, and some of them are even Bitcoin-curious. Now that Magnr CEO Colin Kwan has been appointed as the UK Digital Currency Association Director, things will get exciting in that region. There is a heavy focus on financial innovation in the United Kingdom, and Bitcoin is a big part of the FinTech revolution. The region wants to position itself as a prominent location for the development of business and services using blockchain technology. At this time, it remains unknown what role Magnr will play in the evolution of FinTech for the United Kingdom. Industry experts are a valuable addition to the Digital Currency Association, as they are well versed in both traditional finance and Bitcoin. Decentralizing the banking system as we know it remains a point of substantial debate, and more collaboration between different industries is direly needed.